Preview: Creator Murry Sidlin says his aim was to evoke the ‘defiant’ concerts at Terezin concentration camp. March 23 at Orchestra Hall. 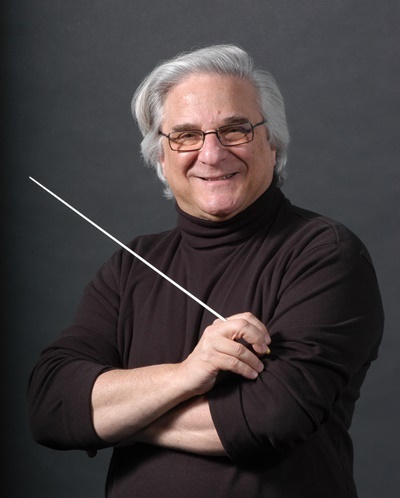 Author and conductor Murry Sidlin began creating the music-film-narration event “Defiant Requiem: Verdi at Terezín” upon discovering an astonishing fact about the Nazi concentration camp Theresienstadt, also known as Terezín. A large percentage of the prisoners in the camp in occupied Czechoslovakia were artists and intellectuals. Among the many concerts performed at the camp were 16 performances of Verdi’s Requiem, the focus of “Defiant Requiem.” The multimedia work with orchestra, chorus, vocal soloists, narrators and film clips will be presented March 23 at Orchestra Hall. The original Verdi undertaking was the personal project of a prisoner named Rafael Schächter, a Romanian composer, pianist, and conductor with a degree from the Janáček Conservatory in Brno. Because he had only one score of the Verdi masterwork, he taught it to his fellow musician-prisoners by rote. In grim fact, Terezín served as a transfer point for prisoners before they were shipped to death camps such as Auschwitz-Birkenau. After the first performance of the Requiem, two-thirds of the participants were transferred out of Terezín. But new prisoners were constantly brought in. “Schächter had to start over and teach the Requiem to a whole new group,” said Sidlin. So fascinated is Sidlin by this controversy between Schächter and the elders of the Terezín community that he has written a play about it. 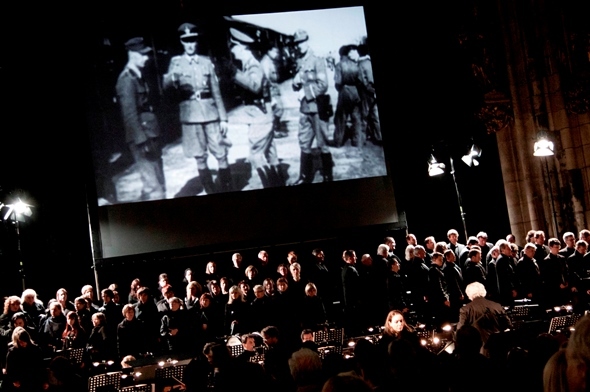 “Mass Appeal – 1943″ will be premiered at the Czech Center in Manhattan during the summer of 2017. Sidlin’s purpose in creating “Defiant Requiem” was “to illuminate the legacy of Terezín.” That is why he built what he calls a “concert-drama” around a complete performance of Verdi’s Requiem. “That piece has to be the second most popular oratorio, after the Messiah,” he said. And therefore, he hoped it would make a good vehicle for carrying his message. Interspersed between the movements of the Verdi are narrations, which Sidlin wrote himself. To ensure they were accurate depictions of events, he asked survivors to read through them as he drafted the piece. “Defiant Requiem” also includes a selection of film clips with a chilling history. The Nazis used Terezín to show the world that they weren’t mistreating the Jews. And so they built a faux version of the camp. “They gussied it up with nice houses, shops, and even a bank,” Sidlin said, “when in reality it was a prison with unspeakable filth and infestation, where people worked until they dropped dead or were shipped out to death camps.” The Nazis used the whitewashed version to make a documentary called “Terezín: Führer Gives the City to the Jews.” About 24 minutes of the original film survive, plucked from a fire by Russian forces freeing Terezín. A few minutes of this footage will be interspersed into the Requiem. The March 23 program, with Sidlin conducting the Chicago Philharmonic, benefits the Jewish Federation’s Holocaust Community Services program. 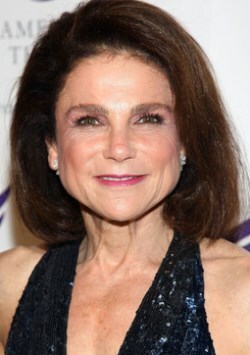 Actors Tovah Feldshuh and Peter Riegert will read the narrations. Sidlin also will also read some lines. 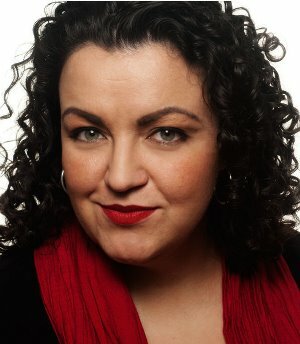 The Chicago Vocal Artists Ensemble will join four soloists: soprano Jennifer Check, mezzo-soprano Ann McMahon Quintero, tenor Zach Borichevsky, and bass Nathan Stark. Besides the March 23 performance in Chicago, “Defiant Requiem” has several dates planned in North America this year: April 20 in Chapel Hill, N.C.; May 4 in Southfield, Mich.; May 6 – 7 in Detroit; June 2 in Seattle; and June 3 in Tacoma. Anne E. Johnson lives in Brooklyn and writes fiction and arts journalism. Her website is AnneEJohnson.com.